Indie games have become a significant part of Microsoft’s Xbox ecosystem over the past several years. In the Xbox 360 era, initiatives like the annual Summer Arcade highlight of various downloadable titles that helped skyrocket the popularity of smaller games like Limbo, Bastion and Brothers: A Tale of Two Sons. The ongoing Xbox One generation, meanwhile, shifted focus to its ID@Xbox indie games publishing program, which launched in 2014. 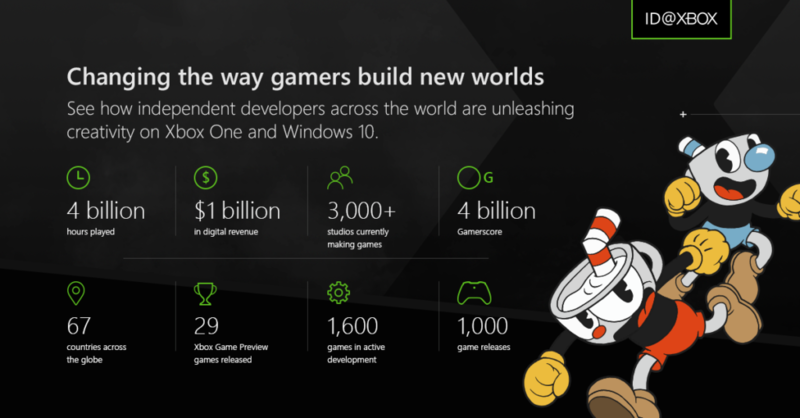 With ID@Xbox, qualified independent developers can self-publish their games through Xbox Live to Xbox One and Windows 10. During the process, Microsoft provides developers with Xbox dev kits, promotion and other support to help see the game to fruition. Fast forward to October 2018 and Microsoft has now officially shipped its 1,000th ID@Xbox game. It’s the latest milestone in a program that has helped launch such popular indie games as playdead’s Inside, fullbright’s Tacoma, Chucklefish’s Stardew Valley and, representing Canada, Celeste from Vancouver’s Matt Makes Games and Cuphead from Oakville, Ontario’s Studio MDHR. Further, Microsoft says that these 1,000 games have come from 67 different countries around the world, have been played for over four billion hours and have generated over one billion dollars in revenue. 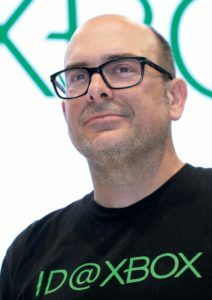 That’s a lot of indie game history, to be sure, so MobileSyrup recently spoke to ID@Xbox director Chris Charla over the phone to get a better idea of what goes into running such a program. To start, MobileSyrup asked Charla what he’s most proud of his team accomplishing during ID@Xbox’s four-plus year tenure. “I’m proud of the way we’ve run the program. I don’t want to say I’m proud of any specific game because then I feel like I’m taking credit for the game. It’s the developer that made the game, not us. The thing that makes me the most happy is when I get to have conversations with developers who have shipped their first game through ID@Xbox,” Charla said. 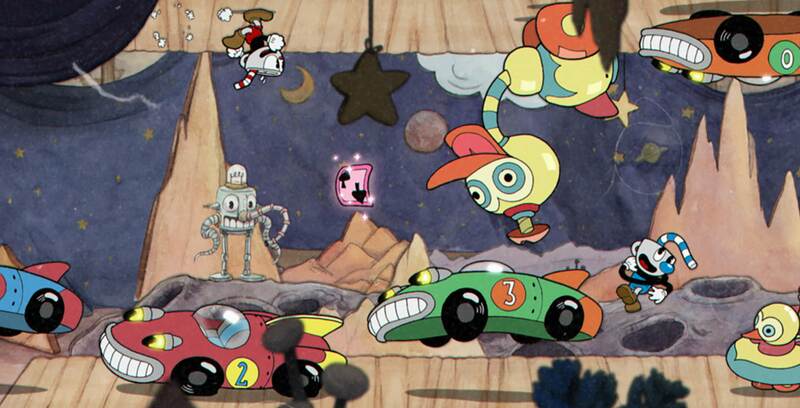 This is perhaps most apparent with Studio MDHR during the development of Cuphead. Co-founders Chad and Jared Moldenhauer, hailing from Regina, ended up quitting their jobs, remortgaging their homes and enlisting over a dozen others to focus entirely on making the game. 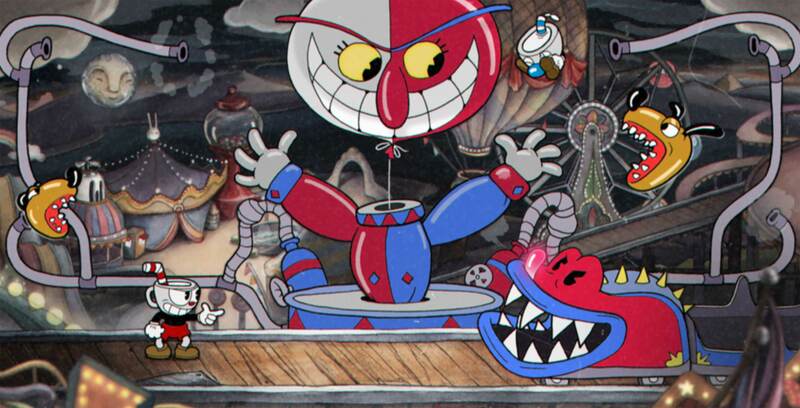 While Studio MDHR put Cuphead through ID@Xbox to get support from Microsoft, Charla said the team didn’t really need much help in the end. “They didn’t need a lot of support in terms of game development. It was their first game and of course they were learning game development, but they’re a super smart crew and amazing designers and artists. I think the place where we really helped out was just making sure the world knew about the game,” said Charla. “One of the principles we’ve always had is that every developer gets an opportunity to pitch for inclusion at at an event like E3 or Gamescom or our PAX [indie] event that we do every year. Of course, there are more developers interested than we have slots so we have to curate what we show. We do make sure that we send out monthly newsletters to say ‘hey, E3 is coming up in six months. If you’re interested in participating, please send us a video.’ We’ll spend days watching these videos,” Charla explained. Charla said there are many ways that this happens, be it through developer phone calls and emails, Microsoft representatives trying out a game at a trade event, or through word of mouth or referrals. “It’s really interesting how many different pathways a game may come into Xbox to the point where we see it and say ‘this is really exciting and this is something we want the world to know about that we’re going to support,” said Charla. 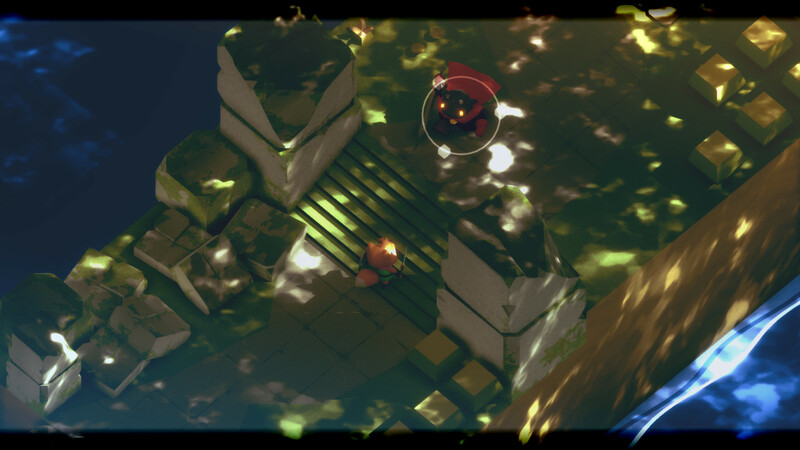 He pointed to Tunic, a Zelda-inspired isometric adventure game from Halifax developer Andrew Shouldice, as a great example of this. The game was originally revealed a few years prior under the name of Secret Legend and renamed Tunic at 2017’s PC Gaming Show, although its biggest exposure arguably came from ID@Xbox at this year’s E3. According to Charla, Tunic‘s involvement in the ID@Xbox program came quite naturally. “It’s a great story. The moment that everyone knew that was a game we wanted to be involved in was the second anybody laid eyes on it when it was shown at the Indie Megabooth at PAX West a couple of years ago. I always rush to the Indie Megabooth the second I get to PAX, and I saw Tunic and said ‘oh my god, this looks amazing! I’ve got to talk to these folks, but the booth is packed, so I’m going to come back tomorrow morning,'” Charla said. Going forward, Charla says he wants ID@Xbox to continue to offer new ways of support to developers, particularly when it comes to other hardware and services that Microsoft is developing. “ID@Xbox has been a great way for Microsoft to showcase new initiatives to a broad array of developers, whether that’s Game Pass or Xbox One X when that was still in development and before it had launched,” Charla said. Charla also noted that there are hundreds more ID@Xbox games in the pipeline for fans to get their hands on in the coming months and years. 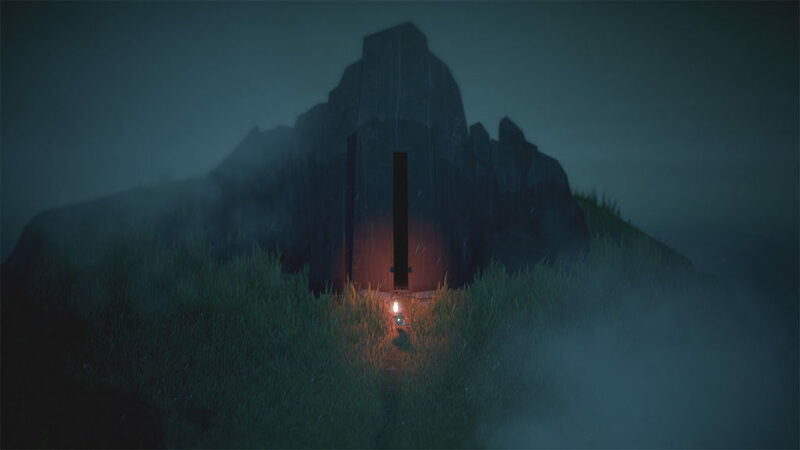 He said he’s most excited for Toronto-based developed Capybara games’ Below, an action-adventure roguelike game slated for 2018 that’s been eagerly anticipated by fans since its reveal at E3 2013. Charla noted that “progress is going super, super good” and that he thinks the game will be out “soon.” In fact, he admitted that Below is actually his most anticipated upcoming ID@Xbox game. “We’ve been tracking this game for a super, super long time and we’ve had builds here and there and I’ve forced myself to not play it. I had one of the most memorable gameplay experiences of my life with a really, really early build,” said Charla.